Who is this instruction for: School CTO or tech person, school admin, teachers and students with paid Kami for Schools license. If you don't have a Schools license, please get in touch with schools@kamihq.com. 1. 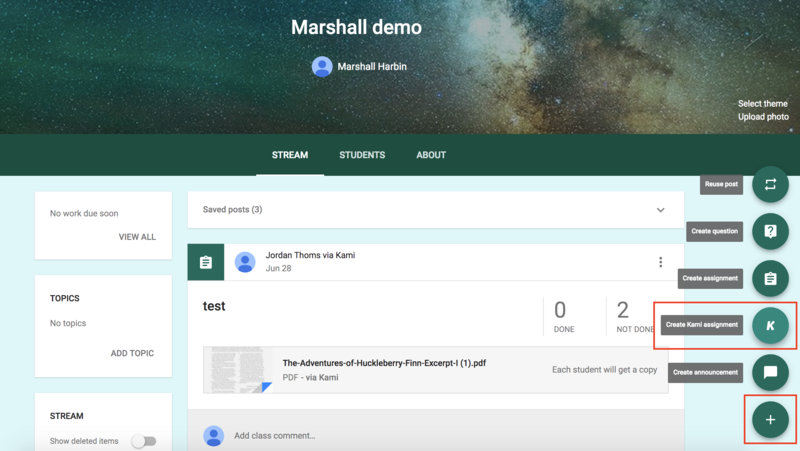 Create an assignment using the Create Kami Assignment button. 2. Send the assignment. Any student who opens the assignment will have the sending teacher's license automatically applied to their account. To begin, you must have the license key. Your license key will be emailed to you when you purchase. If you don't have it yet, please contact schools@kamihq.com. 1. Sign in - http://kamihq.com or via Chrome app/extension. 2. Click the Profile icon in the top right, then click "Enter License/coupon." 3. 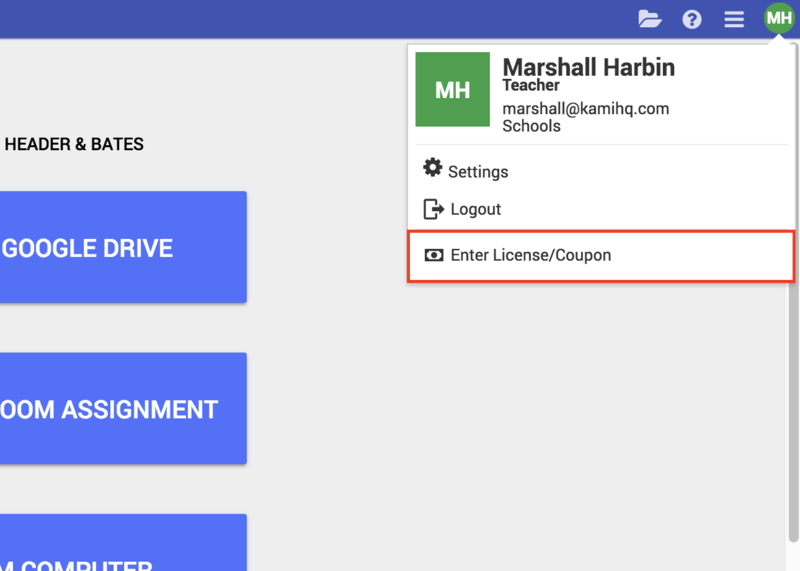 License - Add license key to the "License/Coupon" field. 4. Click Apply. If successful, there will be a green message that says "Successfully updated your profile." 1. You can also forward the confirmation email to your students, and they can click the activation link.